As I start planning a party, a to-do list quickly develops as ideas and tasks come to my mind. One has to decide a theme, buy party supplies, invite guests, etc. However, for me the most important decision is dessert. I will admit it. I love sweets, and always want to offer my guests the most delicious treat I can find. I recently became engaged, and am now faced with the ultimate decision – what dessert do I serve at my wedding reception? Wedding cakes are to the traditional go-to wedding dessert option. Elaborate, gorgeous structures that have delicate detailing are often the centerpiece of the entire reception. Guests immediately gravitate towards it (often bypassing the newlyweds) in order to sneak a peak as soon as they enter the room. Any flavor combination that you could desire (vanilla buttercream frosting with a passion fruit filling or German chocolate with a hazelnut ganache) can be created by an expert baker who spends months creating your confectionery dream. 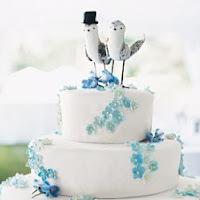 You envision intricate sugar tulips cascading down the cake. No problem. Or maybe a navy blue trim that delineates each tier. Done and done. However, more and more couples are opting to blaze new trails and venture into the endless world of desserts to find one that suits their personalities. Throughout my time on the wedding reception circuit, I have seen (and tasted) everything. Each was delicious and presented in a beautiful way that matched the overall feel of the day. Do you have a soft spot for cupcakes? Then create a cupcake tower with a separate small cake on top if you want to preserve the traditional first cutting. Or are you more of a macaron lover? 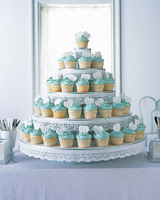 Pick out shades and flavors that compliment your wedding colors. Is Italy one of your favorite places to travel to? Then set up a gelato bar with all of your favorite toppings. And what if you are more of a pie lover? Then have your favorite bakery create its famous blackberry raspberry pie. So all of this begs the question: what dessert are you? Thankfully, this is one of the sweeter choices you get to make throughout the planning process. For me there are only two major criteria – what looks great, and more importantly, what tastes amazing! And for those of you who are still worried that you won’t pick the right dessert, take a look at some of these creations. Trust me – at the very least, it will give you a good laugh!